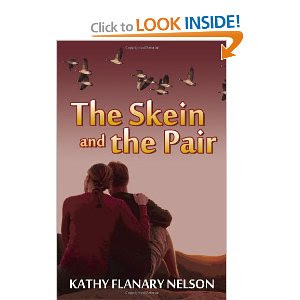 The Skein and the Pair is the story of a group of geese who have mated for life. When they fly west they land near a pond where they are observed by a loving couple. The relationship between the geese and their mate parallels the relationship between the couple. Respect is show to the human by the geese using human like thoughts, and gestures to acknowledge their thanks for help received from the humans. Although this is a simple story, I have learned a lot about geese that I had not known before.